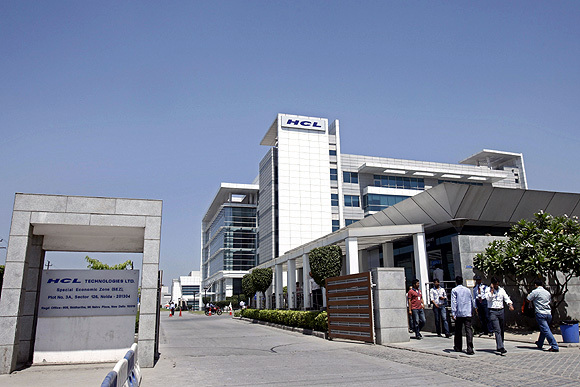 Rediff.com » Business » Will HCL face a Infosys-like situation ever? Will HCL face a Infosys-like situation ever? Shiv Nadar, the first-generation information technology entrepreneur, founder and chairman of the HCL Group, has announced an additional Rs 3,000-crore investment over the next five years towards the educational initiatives of his corporate social responsibility entity, the Shiv Nadar Foundation. Roshni Nadar, his daughter and a chief executive of HCL, and he talk about the Foundation’s (she’s also a trustee there) 20-year journey and ahead, and her role in the group. What has been the biggest learning from your philanthropic journey so far? Shiv: When a business is steady and constant for a while, I get a very uneasy feeling - something is going to now go wrong. Business is meant to change. The education business is a continuous and long journey, like an endless loop. Give us a sense of the expansion plans for the Foundation in the next five years. Shiv: There are two pieces to it. If we get university approval in Chennai or if we don’t. If we get it, this Rs 3,000 crore (Rs 30 billion) would not be enough. 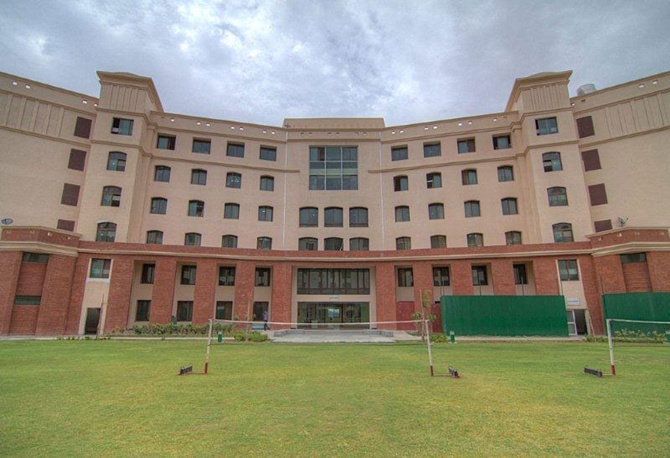 Shiv Nadar University alone will consume Rs 300 crore (Rs 3 billion) every year. There will be at least four more Shiv Nadar Schools. VidyaGyan (the chain of schools it runs for rural children) will continue to be in two locations but the schools will expand. 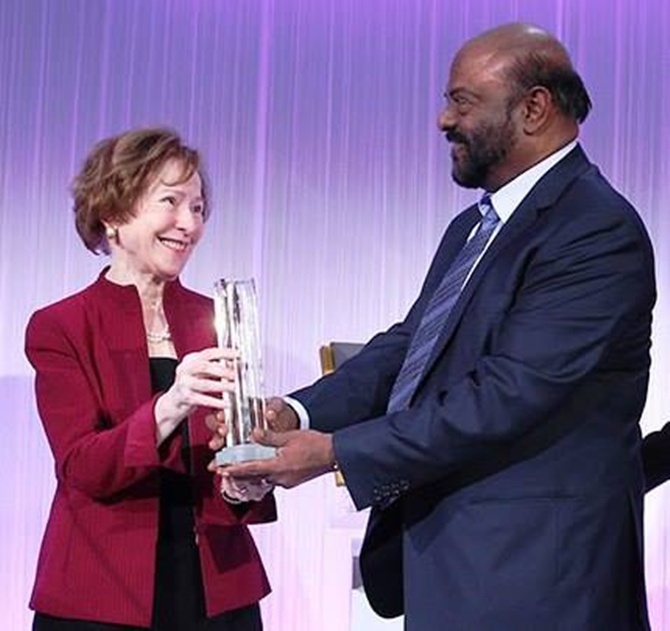 Image: Shiv Nadar honoured with 2013 BNP Paribas prize for philanthropy. You mentioned earlier that it could take up to two generations to build the Foundation. Are you ruling out Roshni taking any active part in operations of the (HCL) corporation and will she be completely dedicated to the Foundation? 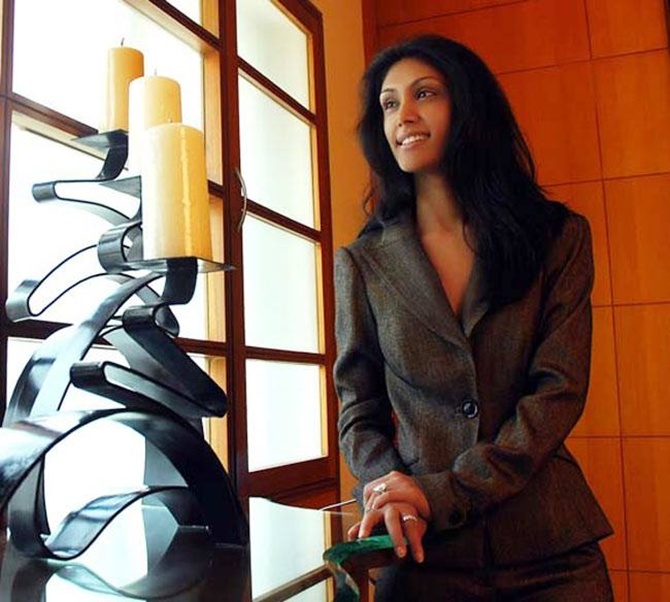 Shiv: Roshni is already CEO of HCL Corporation, and director at HCL Technologies. She will not have an operating role. There are three layers - management, shareholders and the board. In the management layer, she has no role to play; it is her choice. In the board layer, she is already there (in HCL Technologies). 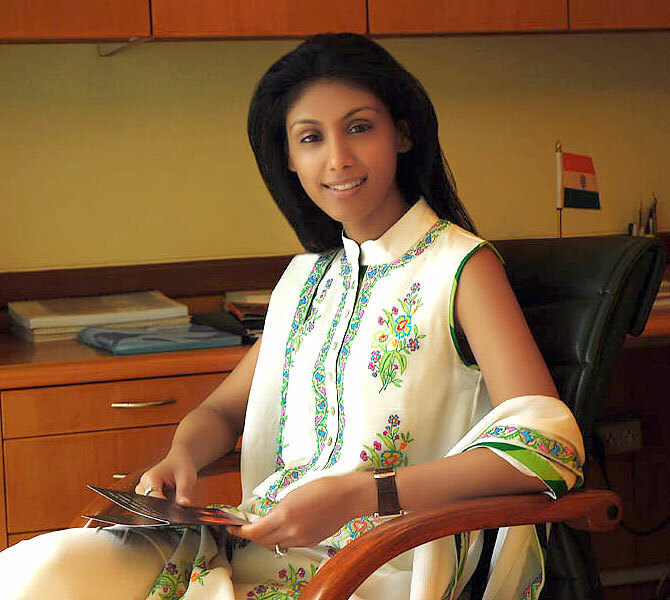 In the shareholder layer, at HCL Corporation, she has been CEO for the past five years. You (Roshni) have said earlier that you are not interested in a management role in HCL group companies. Then why did you decide to join the HCL Technologies board? Roshni: Being on the board of a publicly-listed company is not a management or operational role. The reason I am there in the HCL Tech board is that I am CEO of HCL Corporation, the largest shareholder of HCL Technologies. As a promoter and a majority shareholder, it is a governance role. Is that a kind of a signal of things to come? Roshni: I can’t be involved operationally; I have no experience. It has a professional CEO, CFO, and has been in existence for more than 35 years. An operational role would be an irresponsible step; it is a public company. So, you don’t expect an Infosys-like situation, ever? Roshni: God forbid! (crosses her fingers). Infosys never had a majority shareholding. The structure was very different to begin with. I don’t know too much about Infosys. But I do hope whenever the founders decide to take a step back in HCL Technologies, it will be in a great state. With fees accounting for just 15 per cent of the budget outlay, when do you expect the educational ventures -- SSN Institutions, Shiv Nadar University, the schools (Shiv Nadar School and VidyaGyan) -- to stand on their feet? Shiv: A postgraduate business school normally breaks even on revenue expenditure in the sixth or seventh year. An engineering school normally breaks even in the 15th or 16th year. Research will take a long time. Roshni: On the operations front, the SSN Institutes hit a kind of break-even point two years ago. But, since then, as we invested in more programmes and in research, it went into deficit. SSN is in a more mature state (among all the ventures). The chances are that as it has been around for more than a decade, it will reach the self-sustaining mark much faster. As for Shiv Nadar Schools, Shiv Nadar University, I think it will take that much time, if not more. The VidyaGyans are not meant for sustainability. We don’t charge any fee and are purely philanthropic in nature. The capital expenses will be borne by the Foundation and the operations will get sustainable over a period of time. The reason it will take us much longer is we are transparent and clean. Slowdown? Salaries of Indian CEOs have DOUBLED!